Can I offer you a DOT of tea? TEA TIME is the BEST time for LEARNING! This set IS INCLUDED in my WHILE I DRAW $5 DEAL! 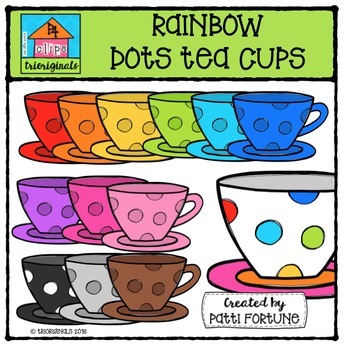 This set includes dot teacups in red, orange, yellow, turquoise, blue, green, purple, pink, light pink, black, gray, brown and rainbow. This clip art set includes 14 images. There are 12 vibrant coloured images and 2 black and white image.